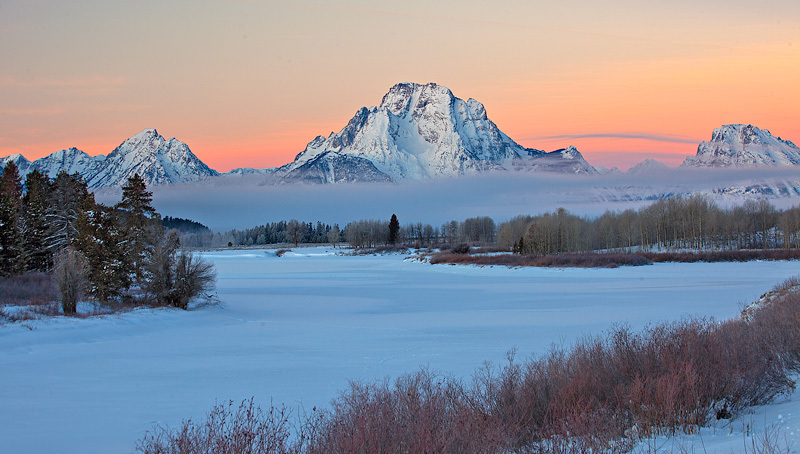 Oxbow Bend at sunrise, Dec 21, 2012. Very cold (minus 10 F) air helped steam up Jackson Lake, creating layers of fog. Photo © copyright by Stan Rose.